encore: Do you Tangerine Tango? I have a thing for bright colors in the coral family - brilliant coral reds, fiery coral oranges, and vibrant coral pinks. My wardrobe has reflected this through the years. And when it comes to flowers, especially roses, make them a bright shade of coral. I was so excited when Pantone announced their 2012 Color of the Year: Pantone 17-1463 Tangerine Tango. It's a bright, reddish orange that reminds me of a highly polished coral cabochon gem. 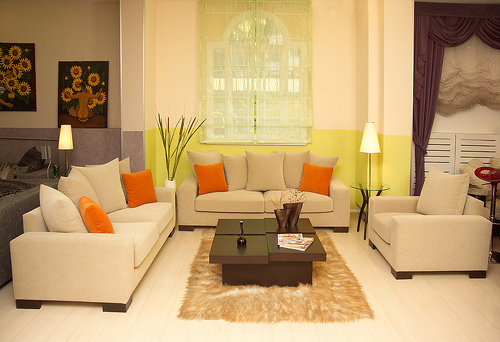 We will not dwell on the fact that it is also reminiscent of the burnt orange color so popular in 1970's interior design. 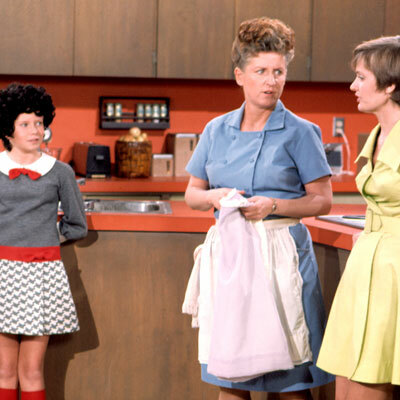 I mean, what child of the 70's doesn't remember the Brady Bunch kitchen? I question their choice to include the word "tangerine" in the name. I mean, I like tangerines and "tangerine tango" is a really cool name, but I've never seen a tangerine this color. If they would have asked me what I thought the name should be, I would have named it something like "Coral Captivation". But they didn't ask me and now they've made the big announcement, so there's no turning back at this point. I was so inspired by this bold and energetic color that I decided to feature it in the color palette for this blog. The blog had originally been created to showcase my photography, so I kept it dark, avoiding color so as not to detract from the photos. But now that I've switched directions, I decided it needed a fresh new look with cheerful and vibrant colors. I combined the vibrant orange with a pale blue since, in this case, opposites really do attract! Now I just need to decide whether to keep the dark gray body color, or change it to something lighter and brighter. What do you think? 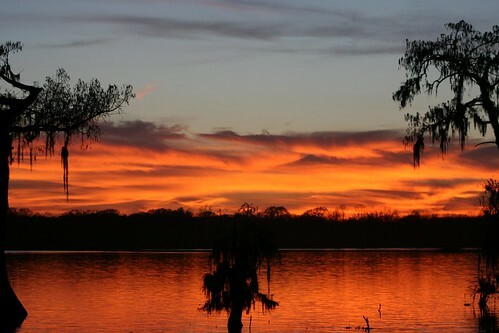 This fiery orange-red color also reminds me of some of the most beautiful sunsets that I have been lucky enough to photograph at Lake Martin-Cypress Island Preserve in Breaux Bridge, Louisiana, just a few minutes from my home. This is one of my favorites. If you like sunsets, or just nature photography in general, I have an entire Lake Martin, Cypress Island Preserve set on Flickr. Check out Out of Curiosity::Is Orange for You? 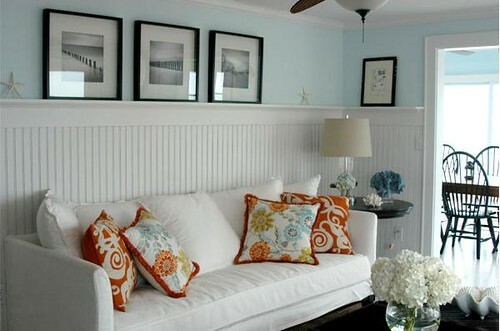 a post by Kristi Linauer on her blog, Addicted 2 Decorating. She's just a state over in Waco, Texas. Her blog inspired me to revive this blog. Her talent and bravado have resulted in some amazing makeovers. She has the job I dream of! Here are some inspirational photos of designs that feature colors similar to Tangerine Tango and, in some cases, have been paired with blues similar to my selection. This next one really evokes the feeling I'm striving for in my Master Bedroom Makeover. Morgan Harrison Home featured on DecorPad.com. So tell me now...Do you Tangerine Tango? Oh Kim with your eye for color I think you could go big with a design business. I never would have connected those two colors with a sunset as obvious as it is now. Oh keep blogging I am loving it!! And I say you and Sean Tangerine Tango at least a bit in the master make over!! Thanks, Kim! I really enjoy it all...the creativity, the photography, and the blogging. Maybe someday I'll actually earn some money doing it. LOL! Master Bedroom Makeover : : Let the Games Begin!